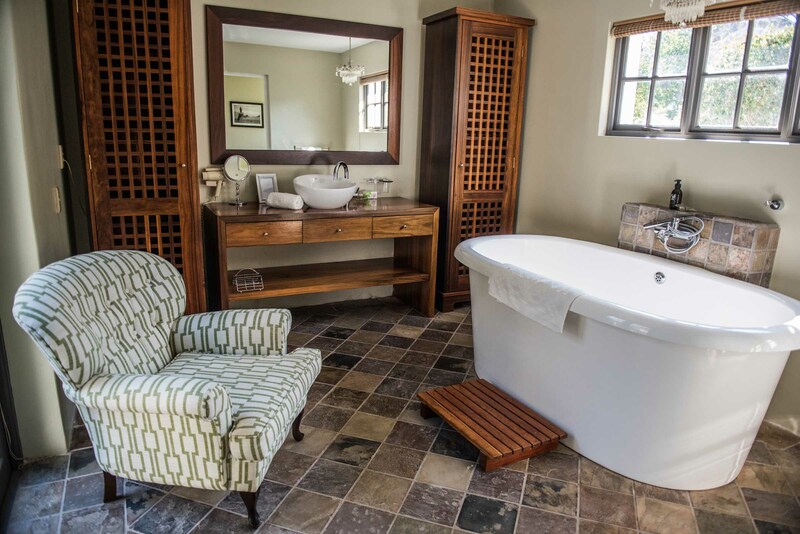 Escape to historic White Water Farm. 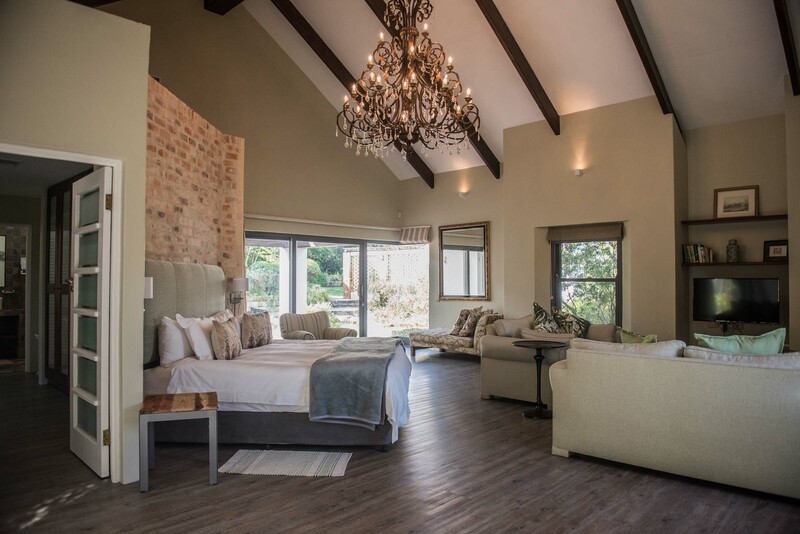 We offer guests a welcoming rural haven with magnificent mountain scenery in the Kleinriver valley near Stanford, South Africa. 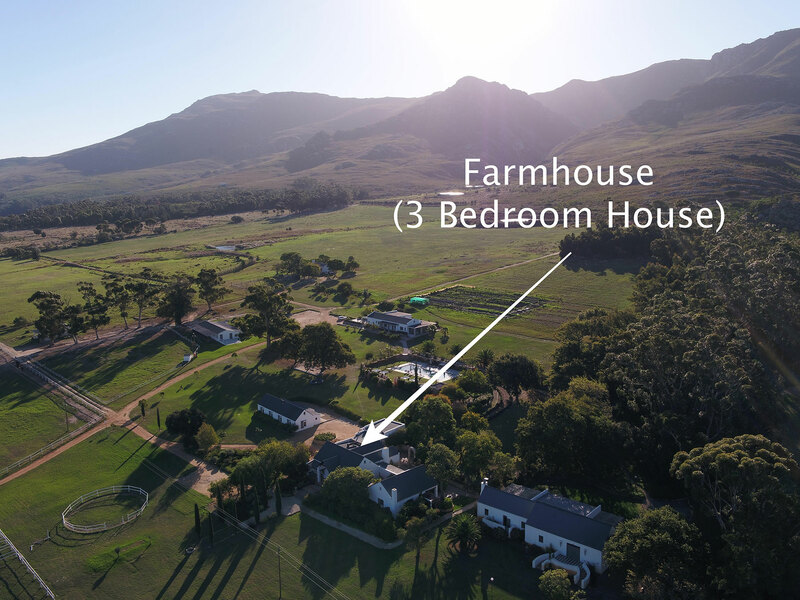 We are 145km from Cape Town International Airport, just 1hr45m drive. 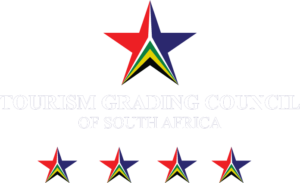 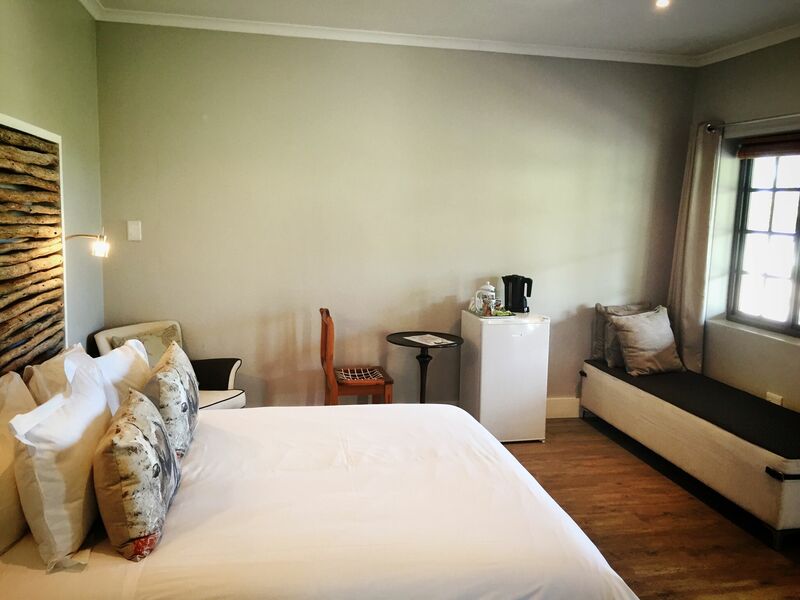 The accommodation, wedding and conference facilities have all been recently renovated to a high standard of comfort and hospitality. 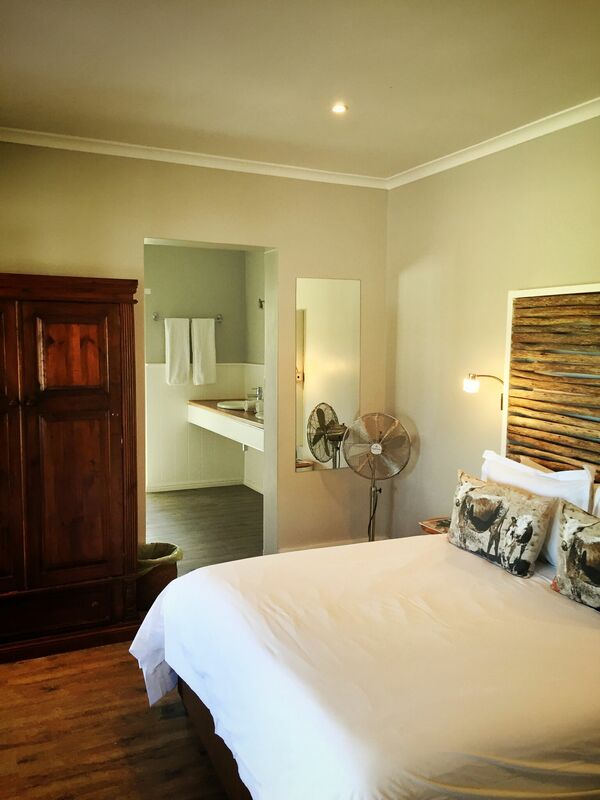 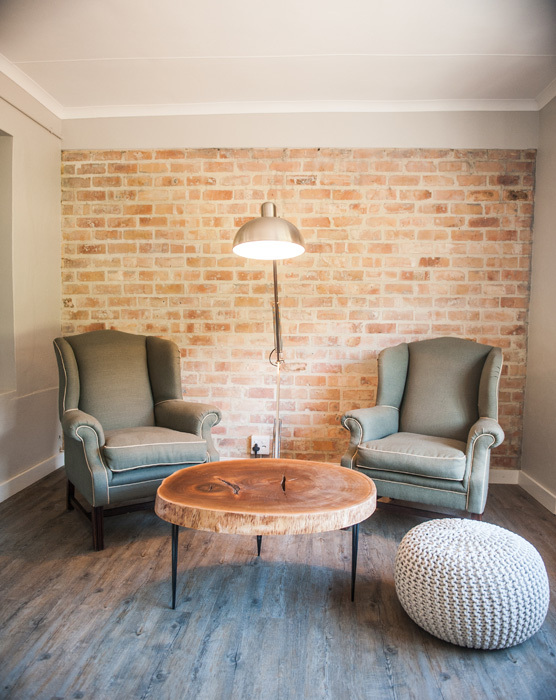 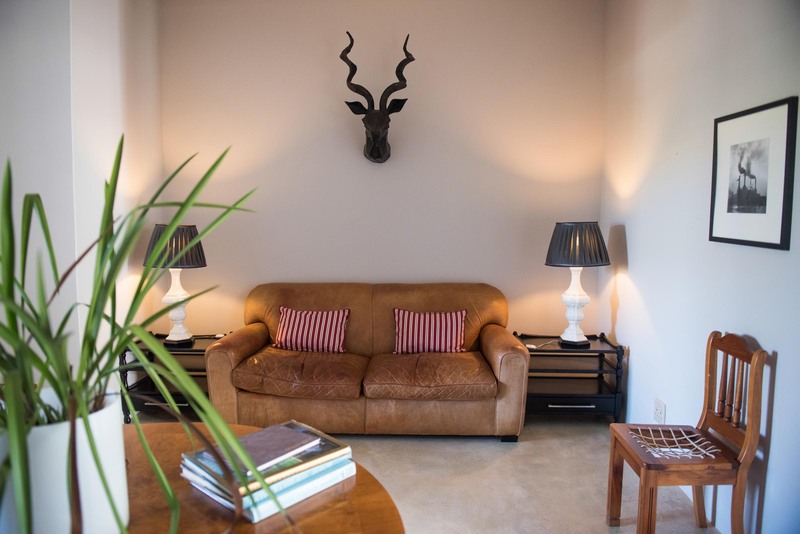 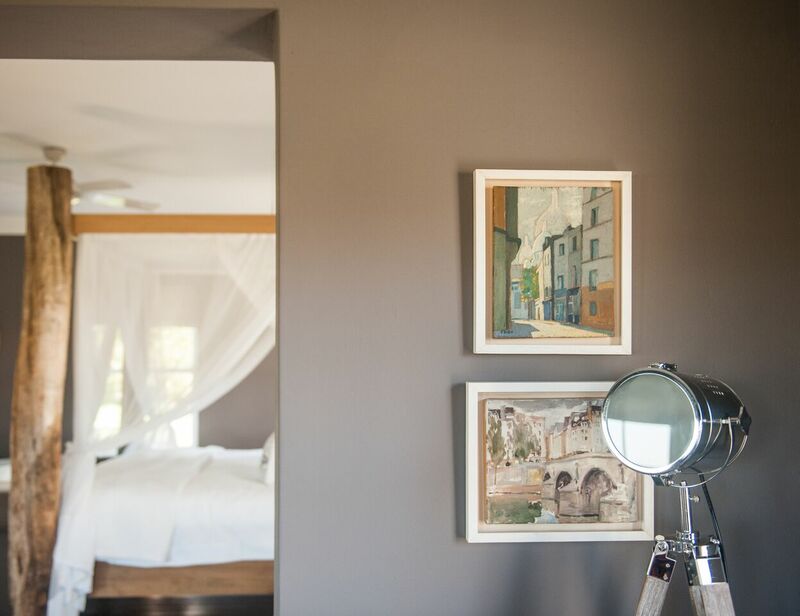 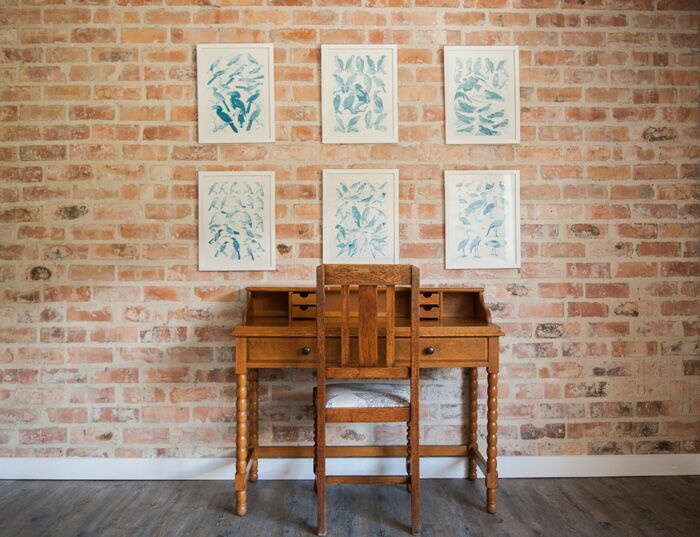 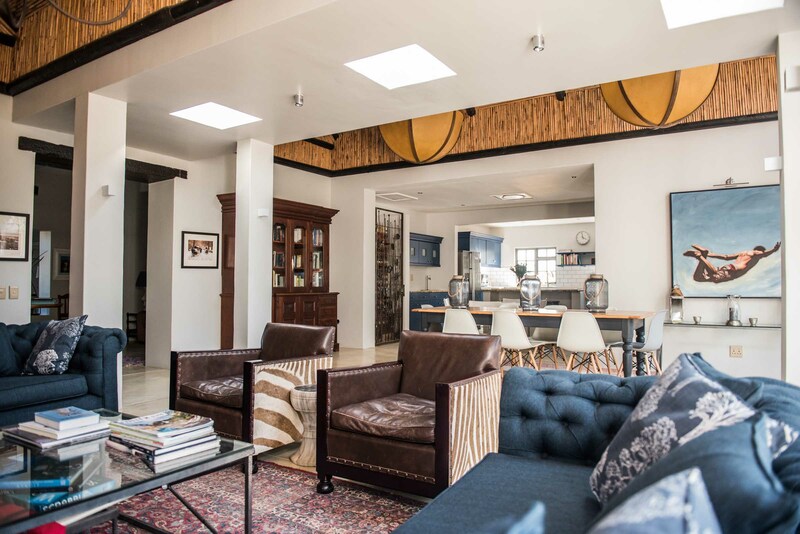 The ambience of the farm is relaxed, comfortable and eclectically elegant. 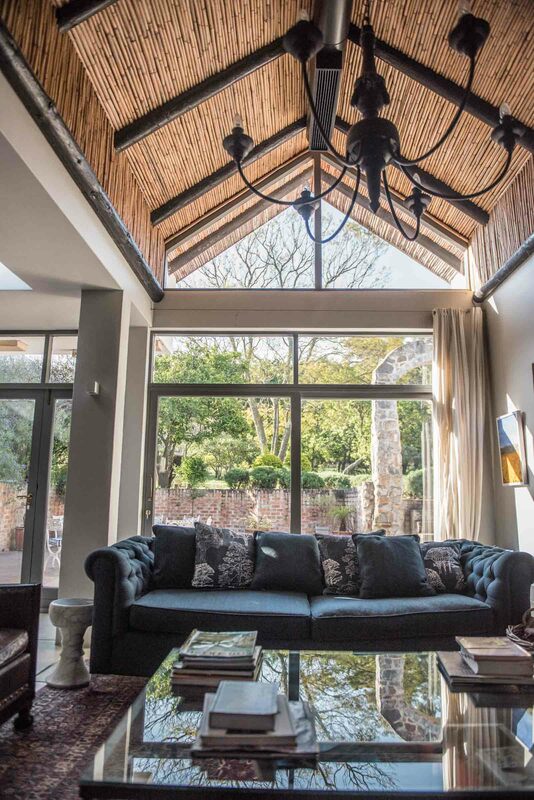 This picture-perfect and historical venue is the ideal place to escape – whether it is for a much needed rest, an adventure, a business conference, a wedding or a private retreat. 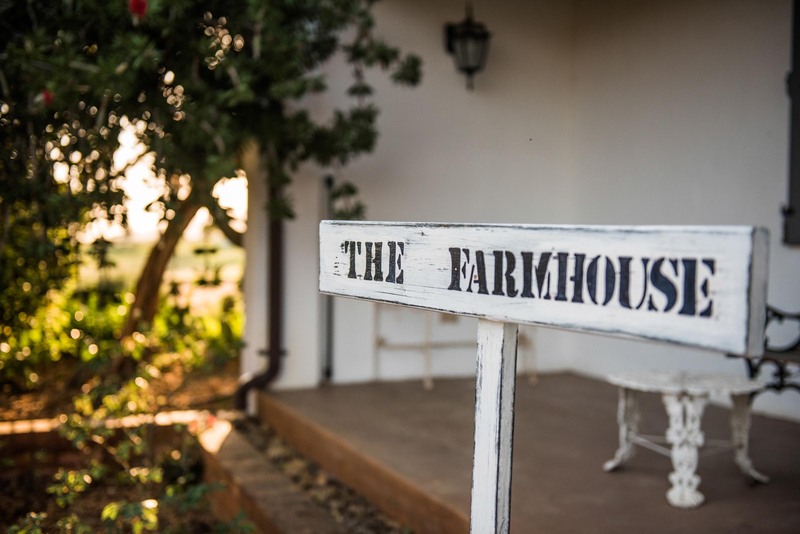 The owners live permanently on the farm, raise their own cattle and are planting herbs and vegetables for the restaurant. 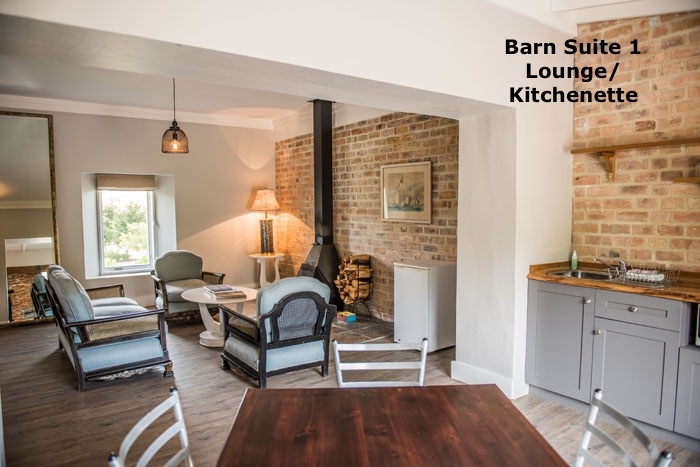 All other provisions will be sourced locally and we will be proud to offer a menu of delicious dishes cooked by our chef. 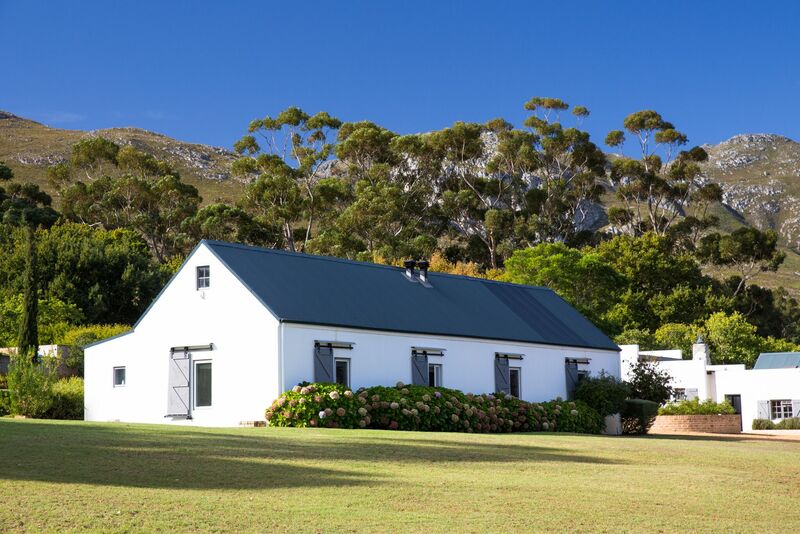 White Water Farm has its own “chapel” which was converted from the old distillery barn, where Witblits (a local liquor like Grappa) used to be made, hence the historic farm’s name – Witwater or White Water. 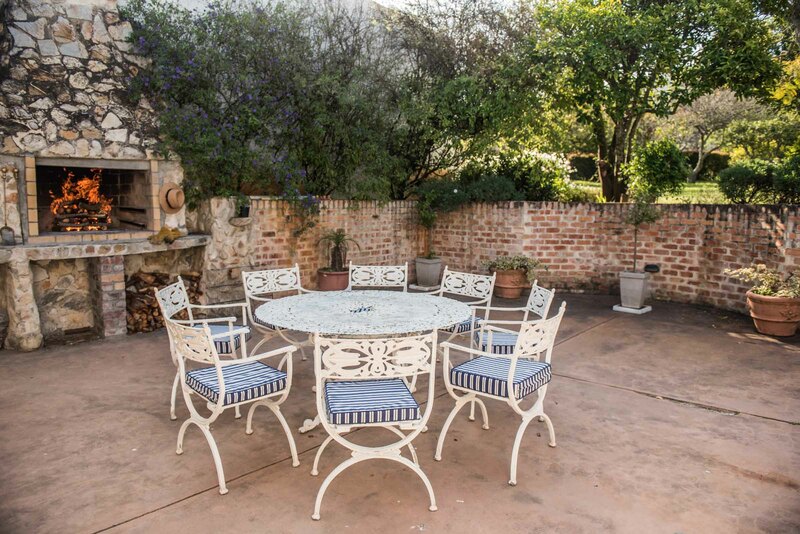 Adjacent is the restaurant with a lovely shaded garden situated under a grove of oak trees and blue gums, making it an ideal venue for weddings and conferences. 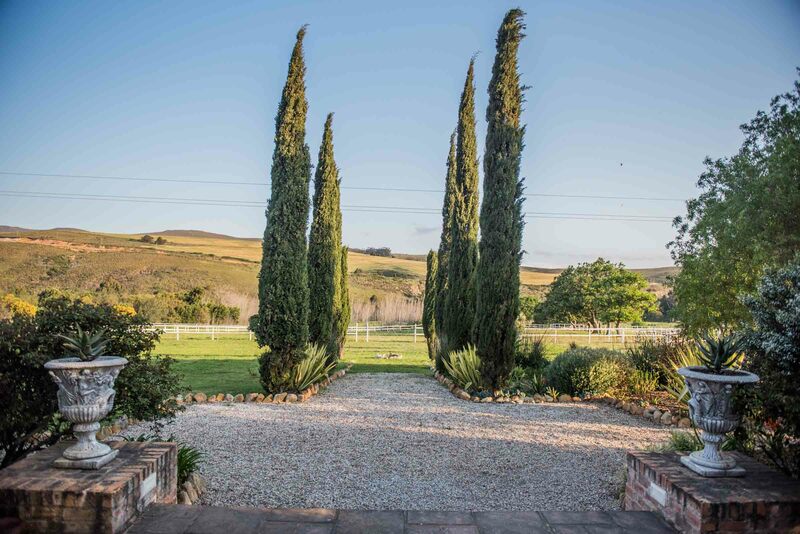 We look forward to welcoming you to White Water Farm and providing you with tranquil Stanford accommodation set in spectacular countryside. 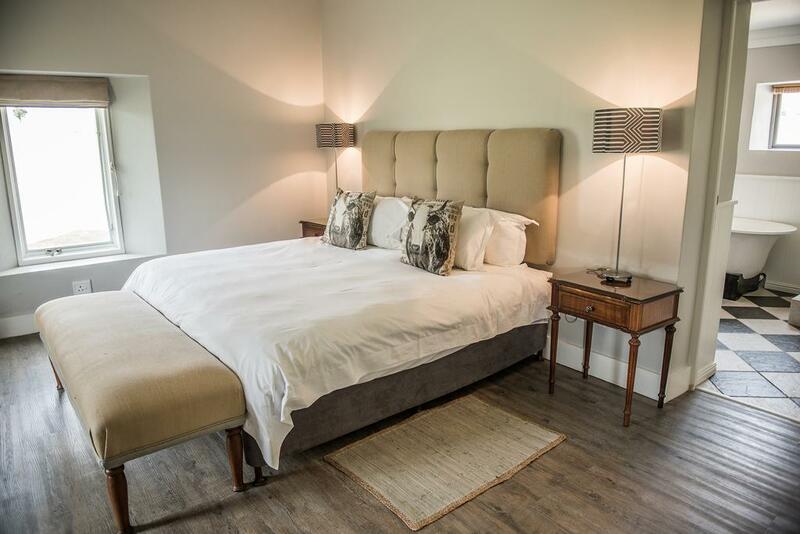 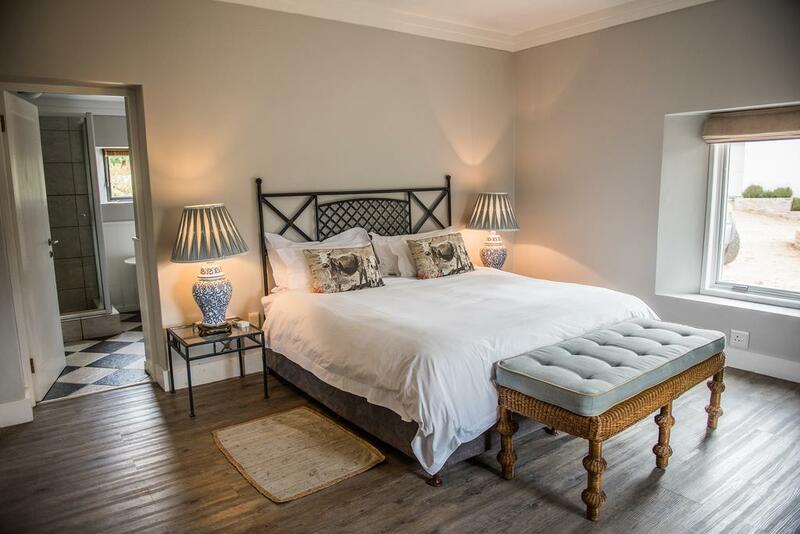 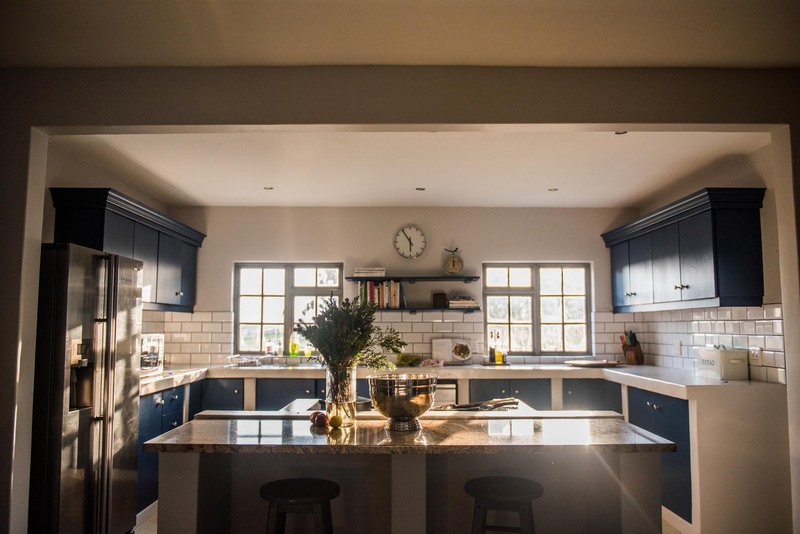 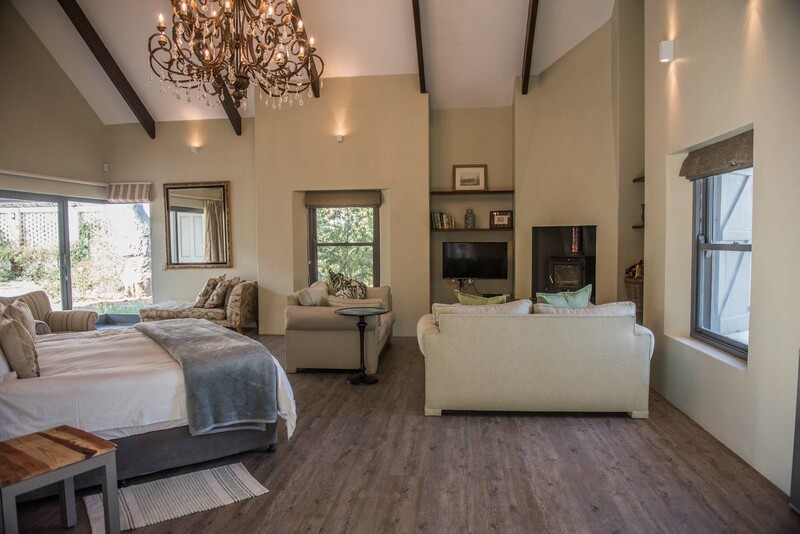 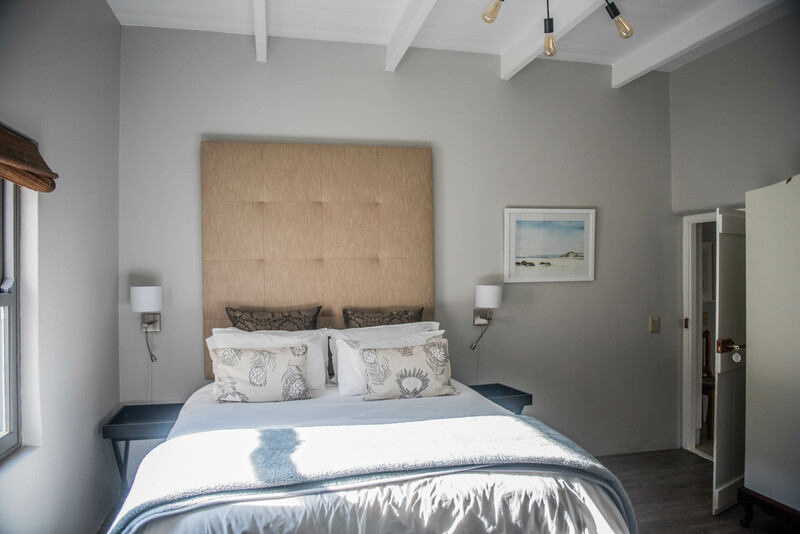 This elegant private cottage has a large bedroom with king size four poster bed, en-suite bathroom with walk-in shower, twin basins, victorian bath in the bedroom, lounge with fireplace and small kitchenette. 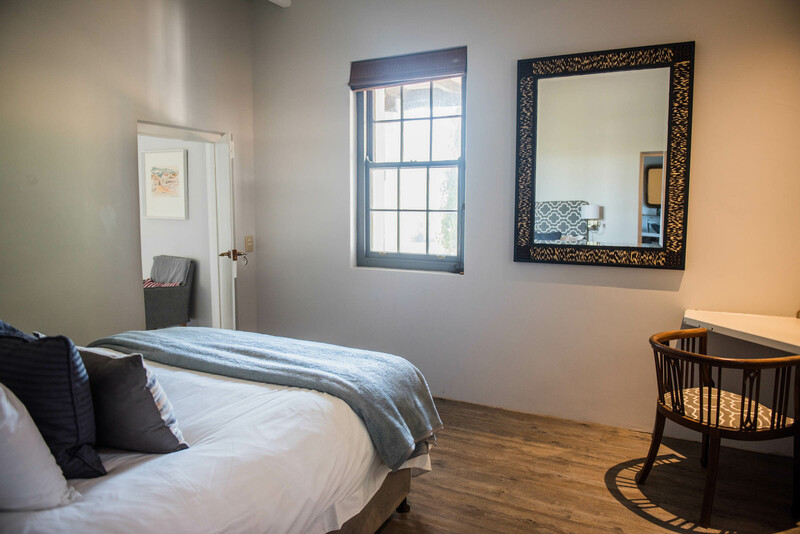 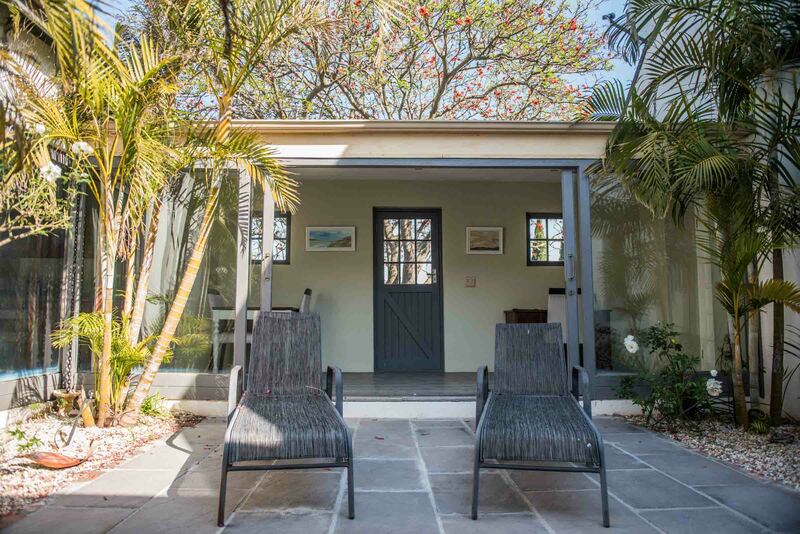 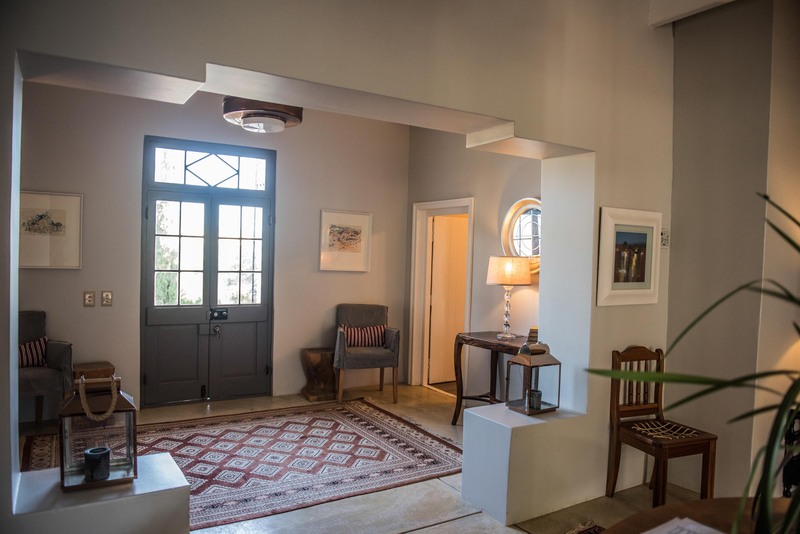 There are gorgeous views from every window in this cottage as well as its own stoep, making it ideal for honeymooners. 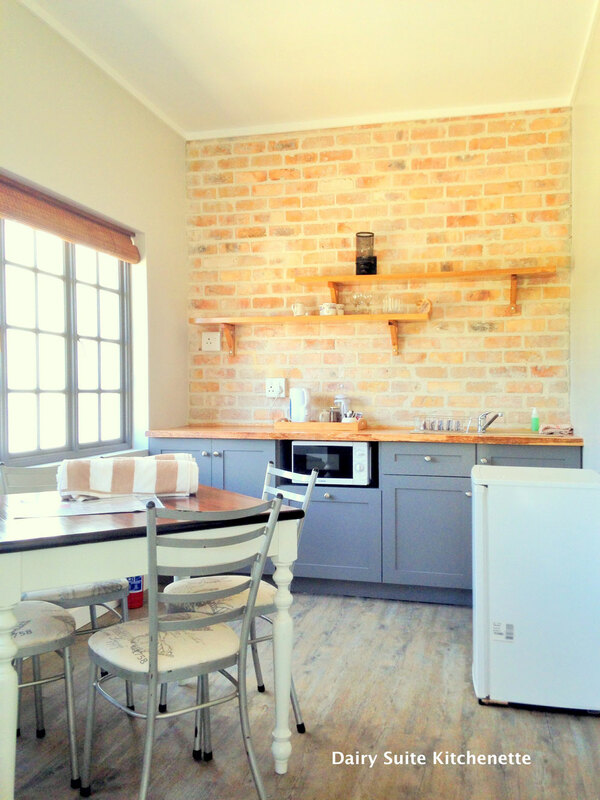 Total internal size: 65sqm. 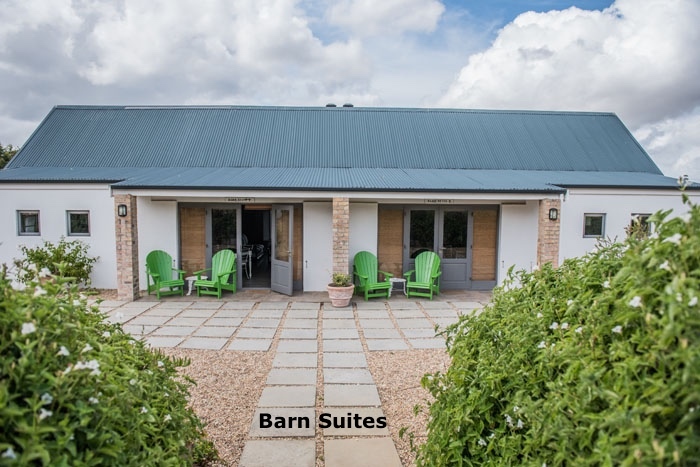 These two suites are in what was once the Herb Barn. 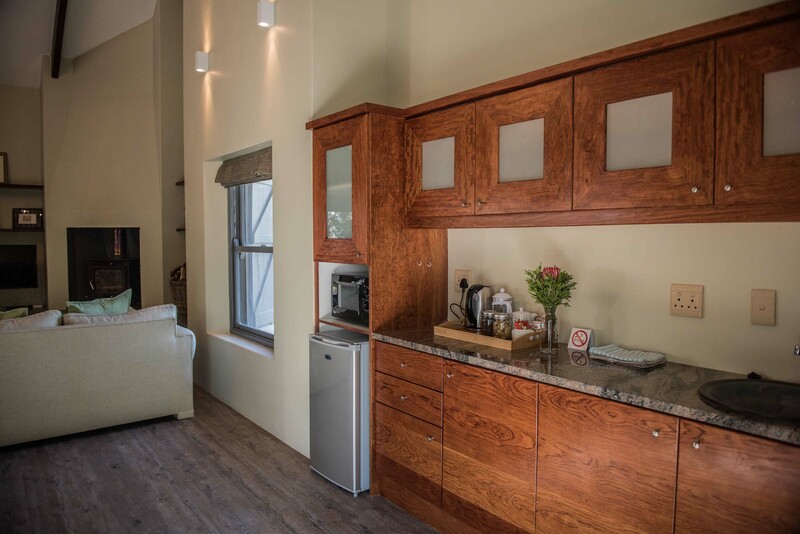 They are very spacious and boast a lounge complete with fireplace and mini kitchenette, bedroom with king size bed and large bathroom which has shower, bath and twin basins. 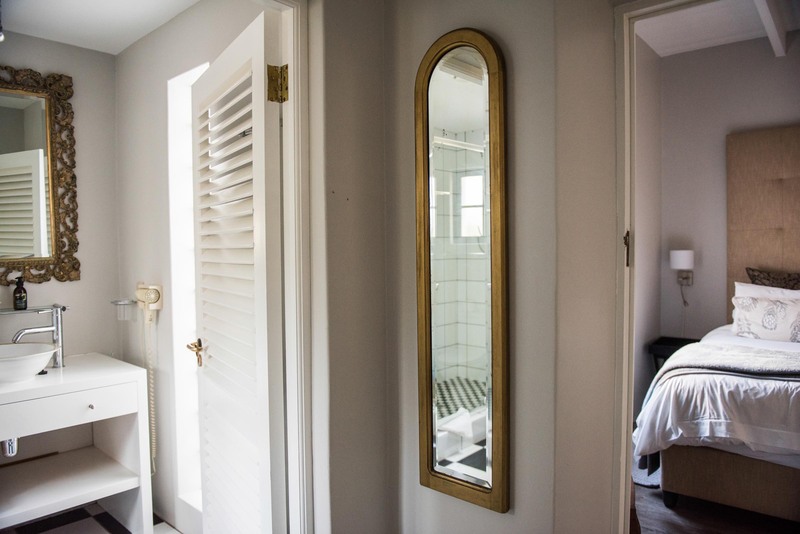 Total internal size: 62sqm. 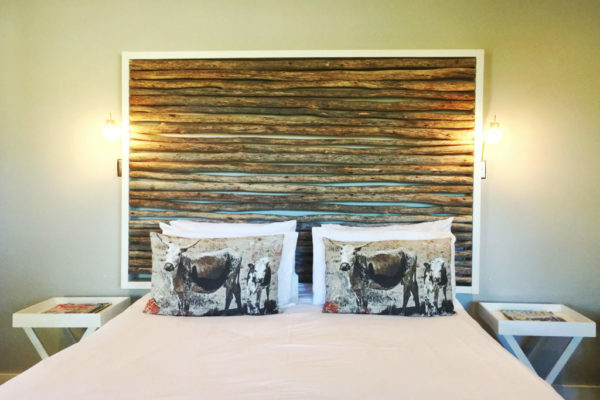 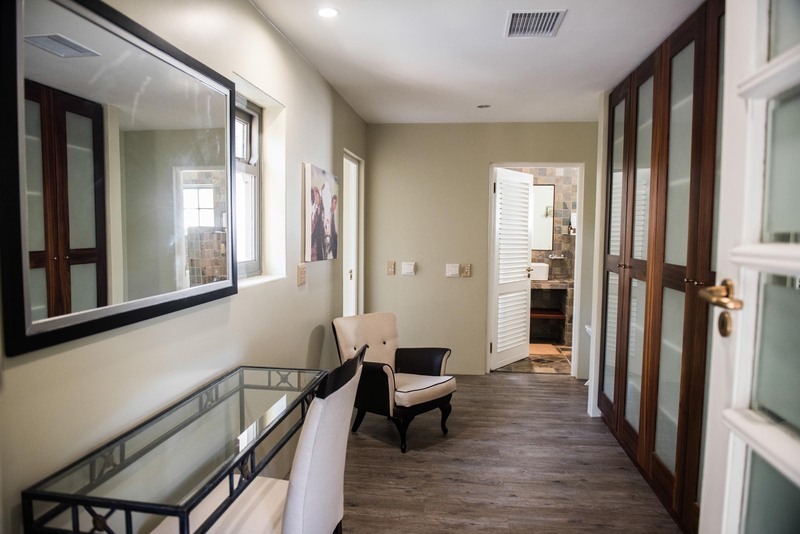 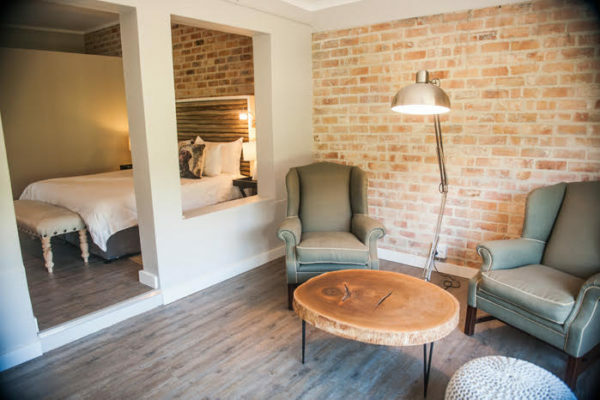 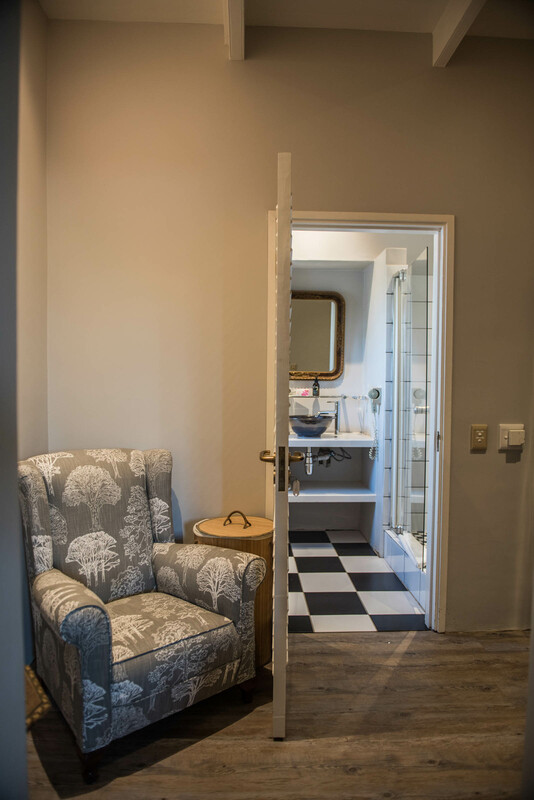 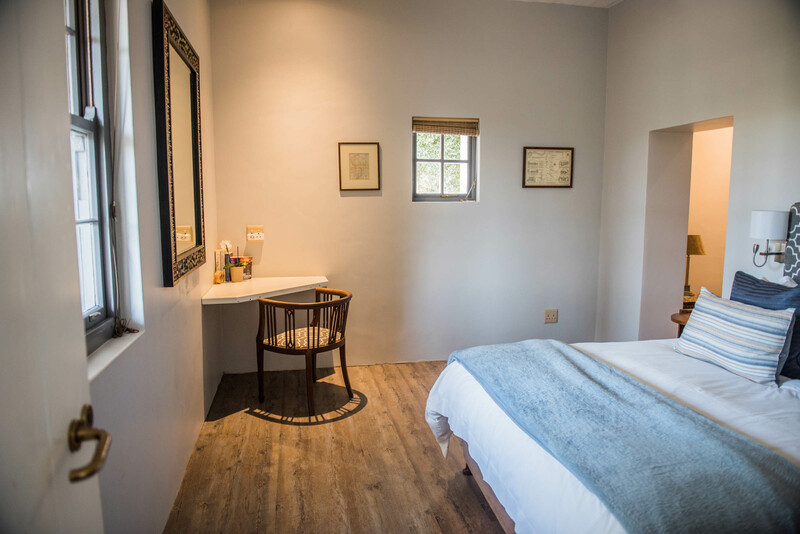 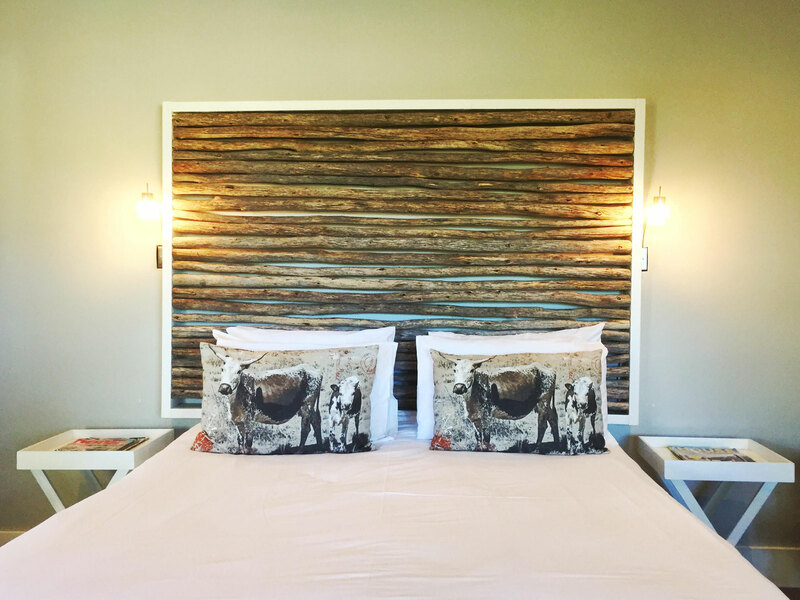 These suites, also in the old Dairy building all of have a king size bed, private lounge area, mini kitchenette, bathroom with shower and an uninterrupted view of the mountains. 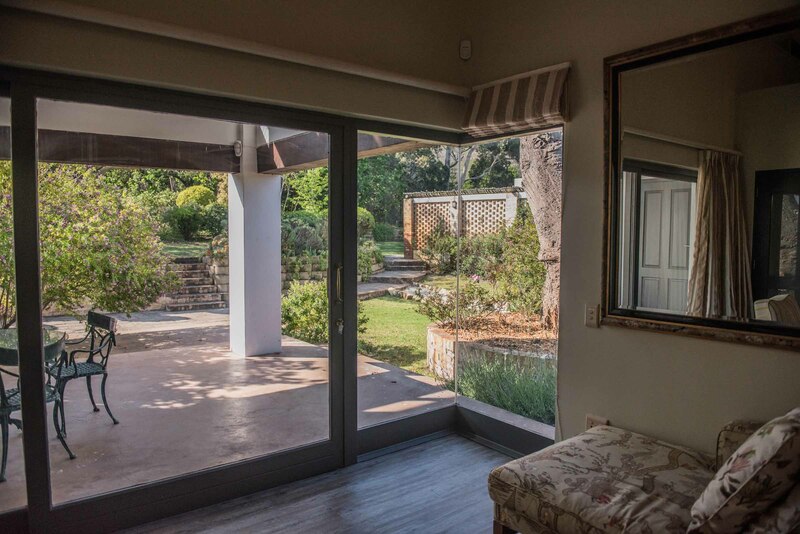 Total internal size: 40sqm. 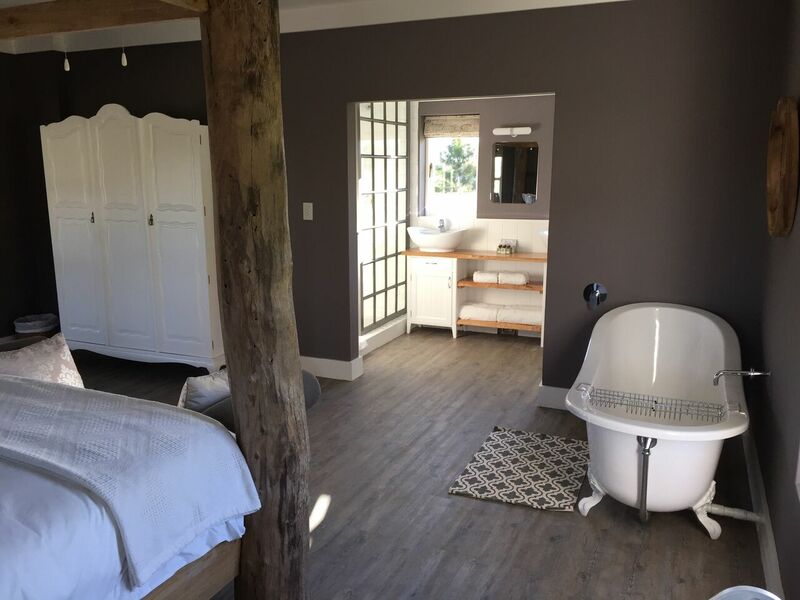 This room in the Farm’s old Dairy building has a queen size bed with a large en-suite bathroom with walk in shower and twin basins. 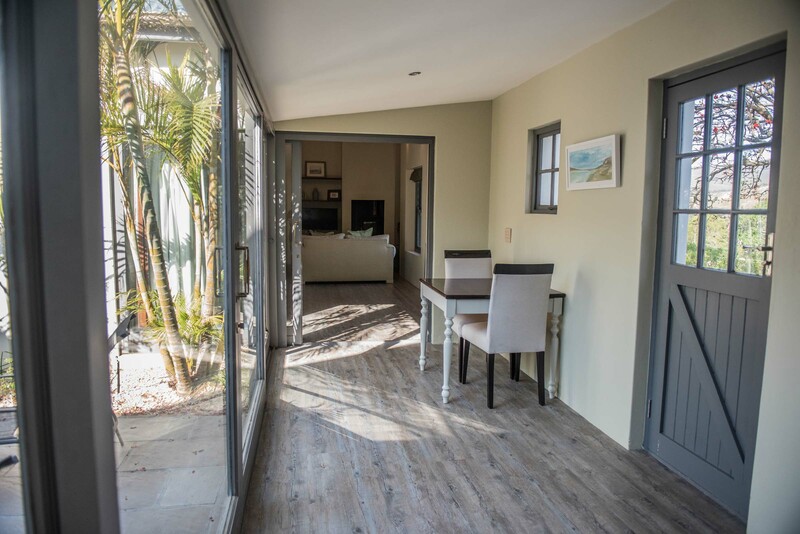 Total internal size: 27sqm. 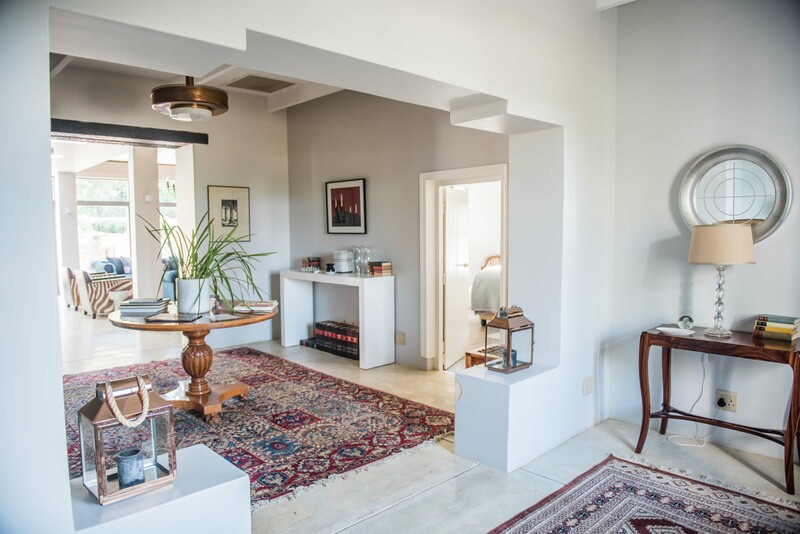 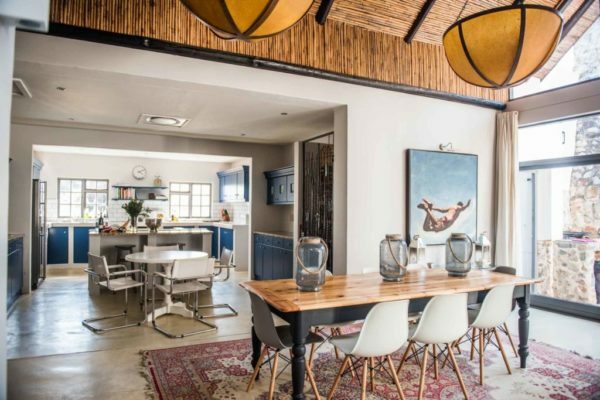 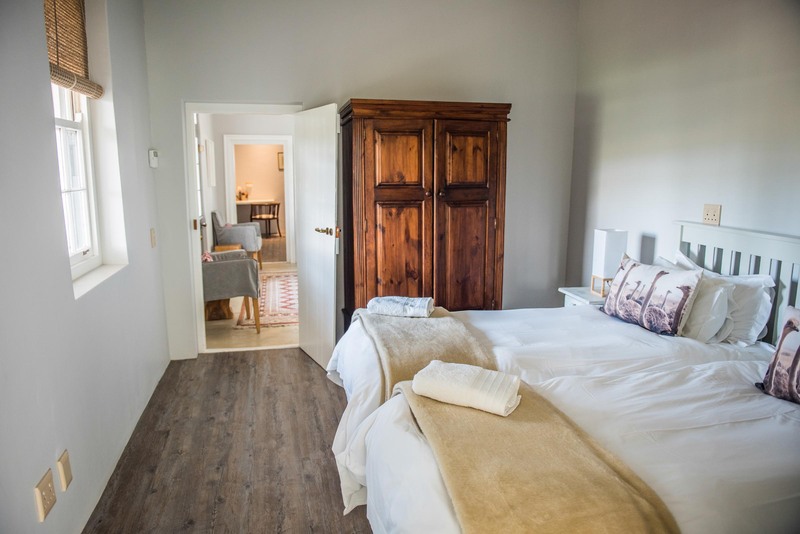 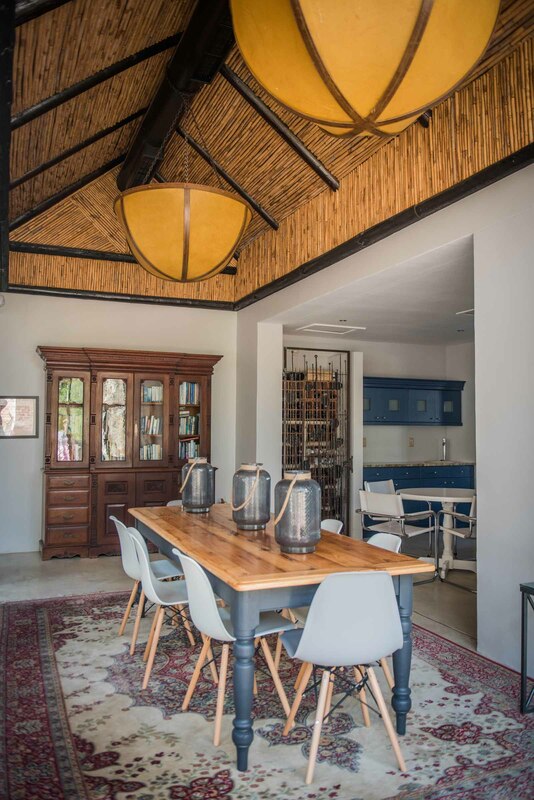 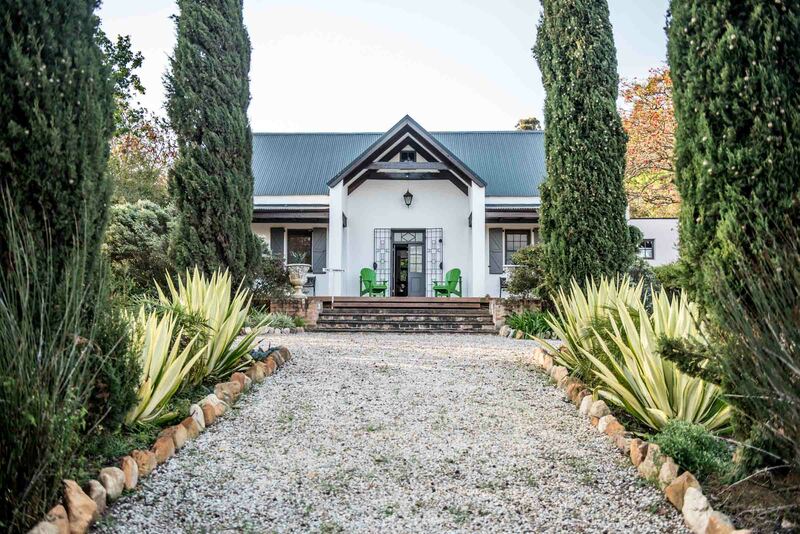 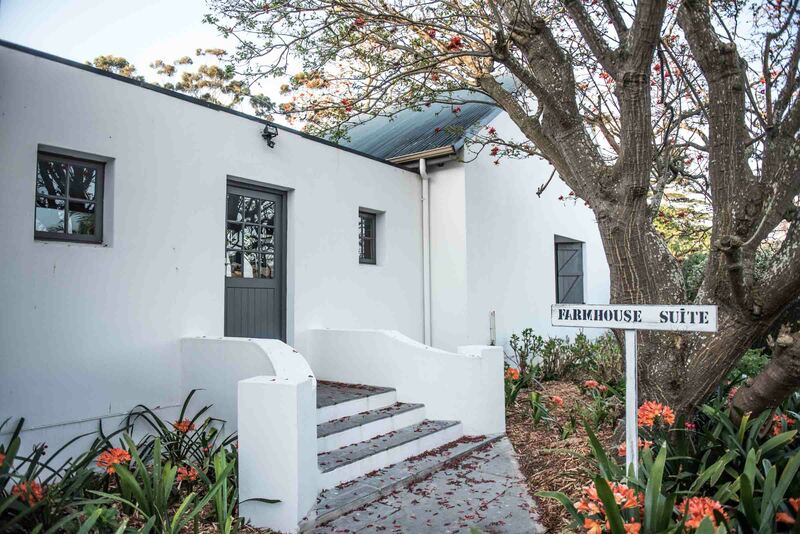 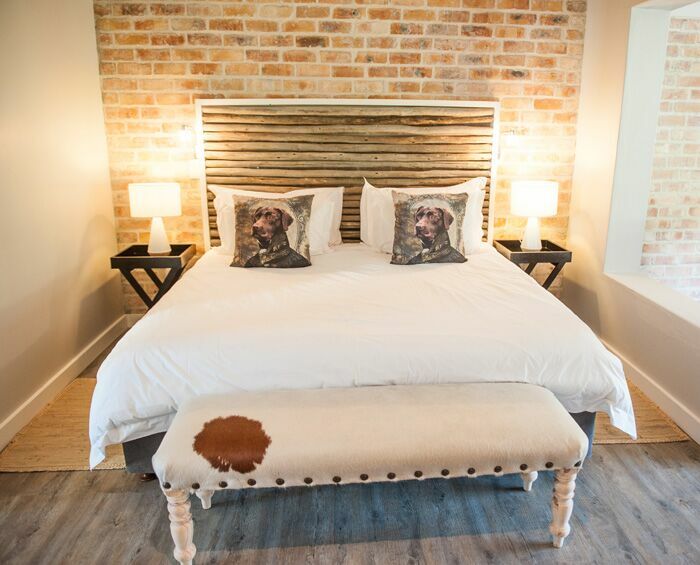 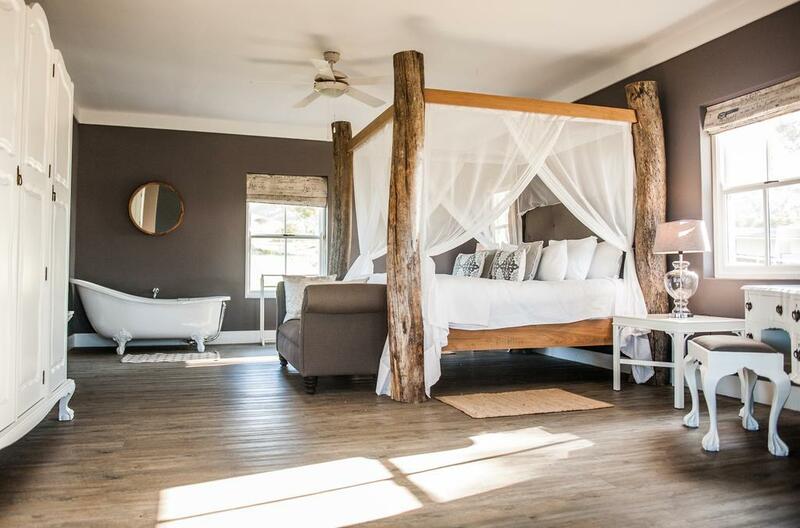 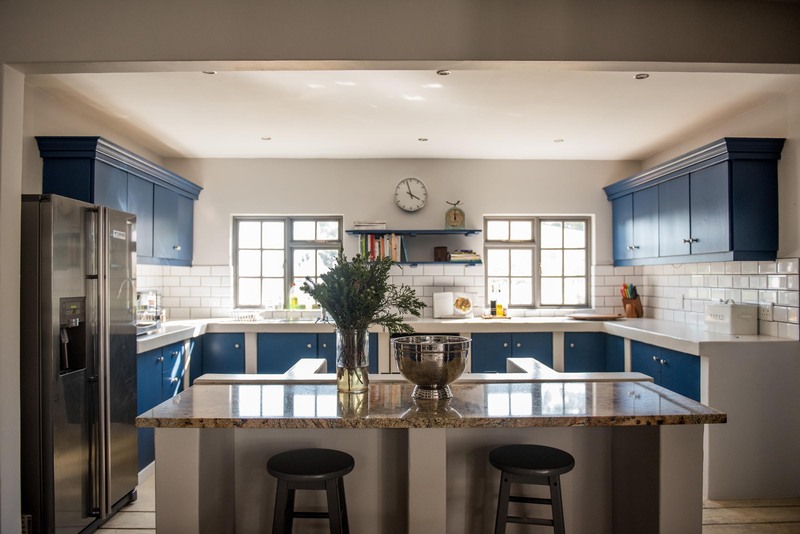 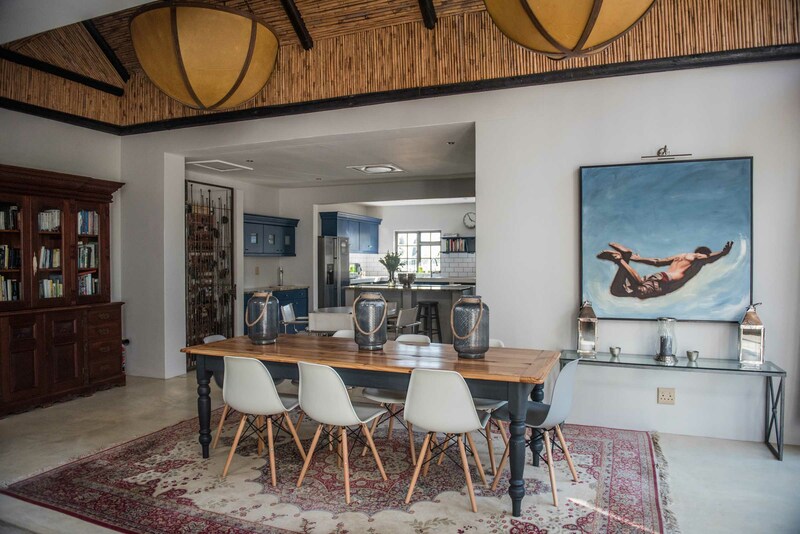 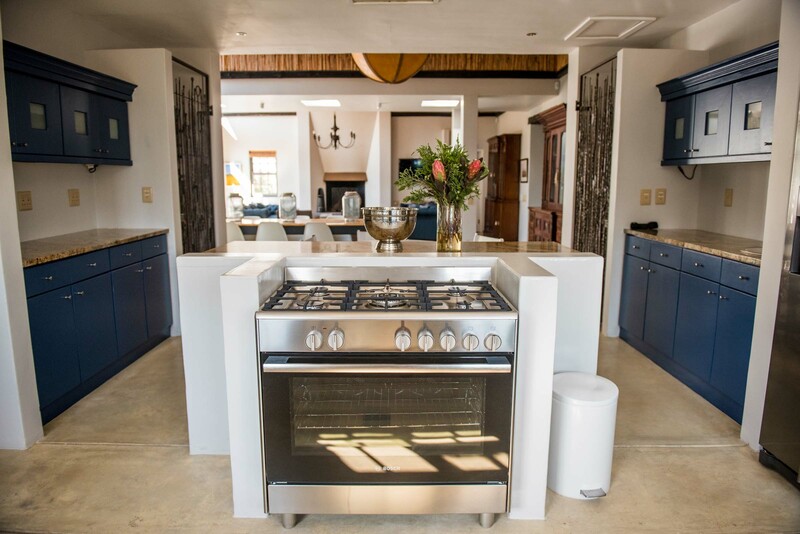 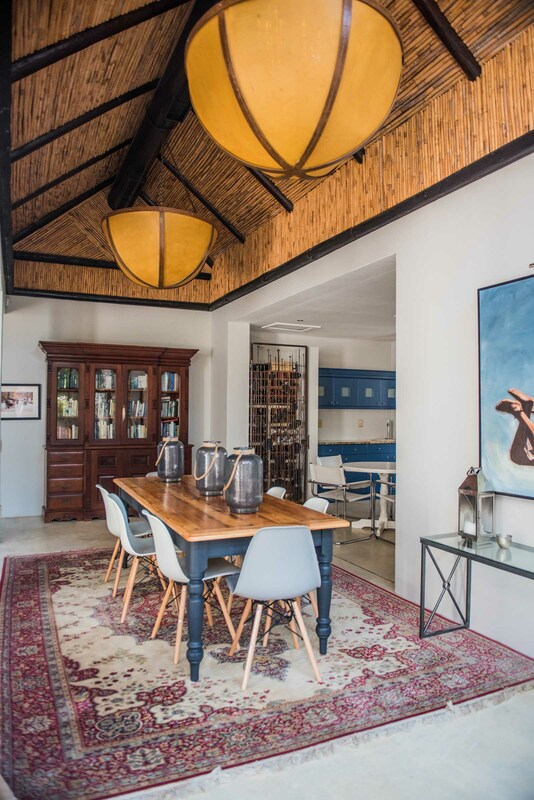 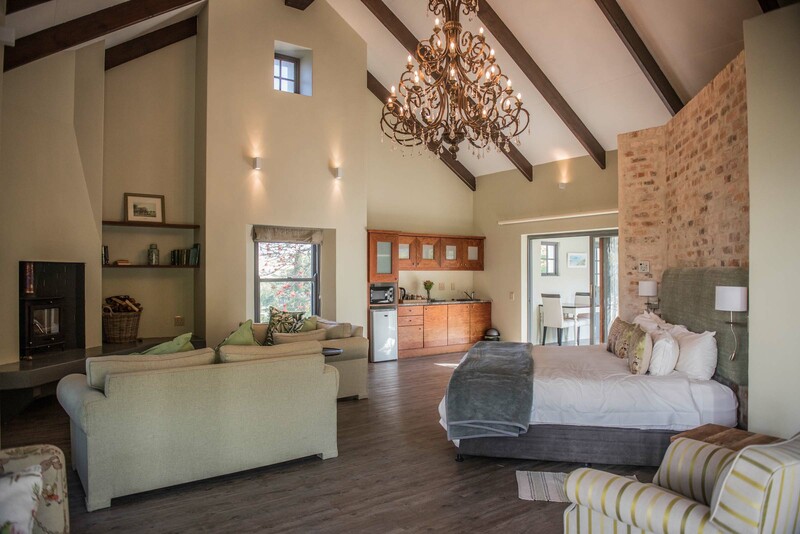 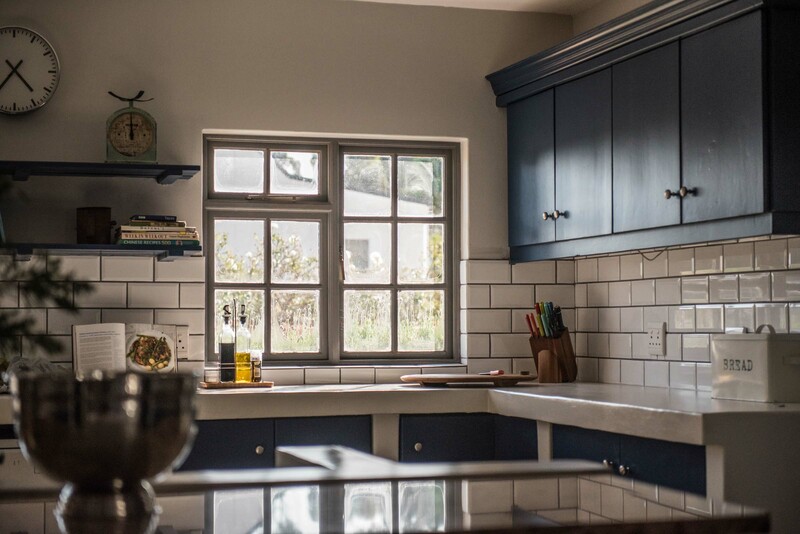 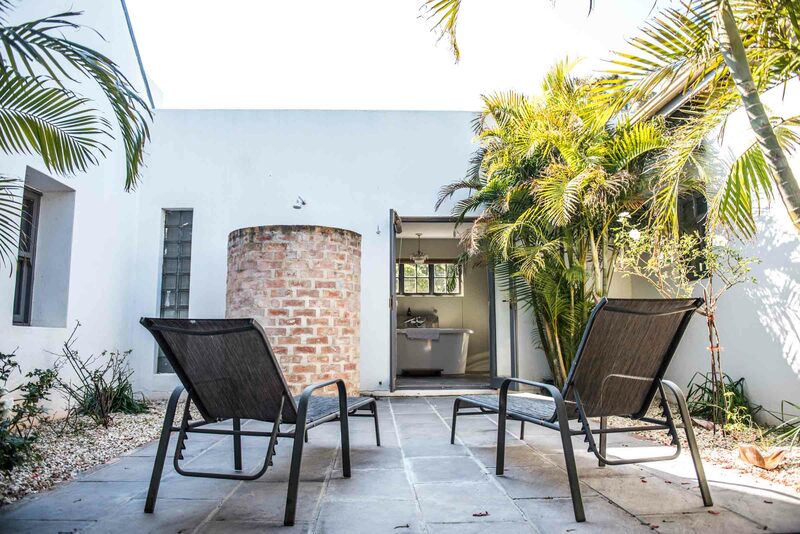 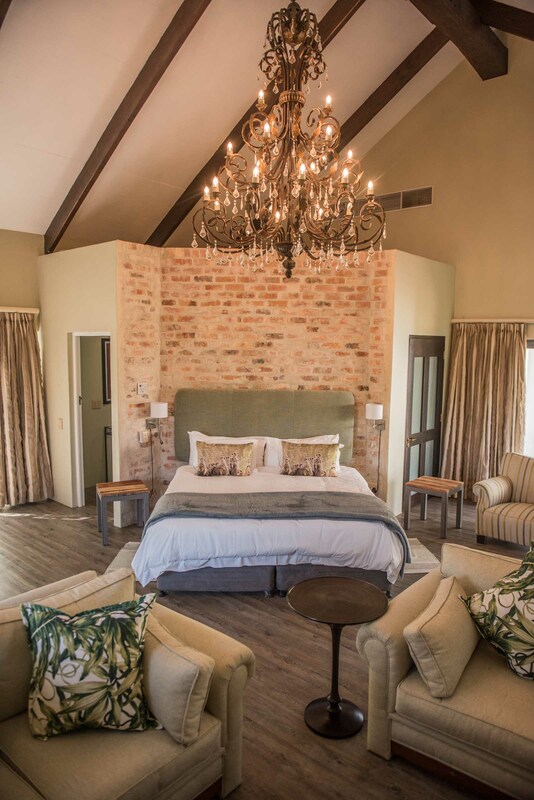 WW Farmhouse dates back to 1846 and has two queen size bedrooms and a twin bedroom, full kitchen and large living area with fire which opens onto a private patio and braai. 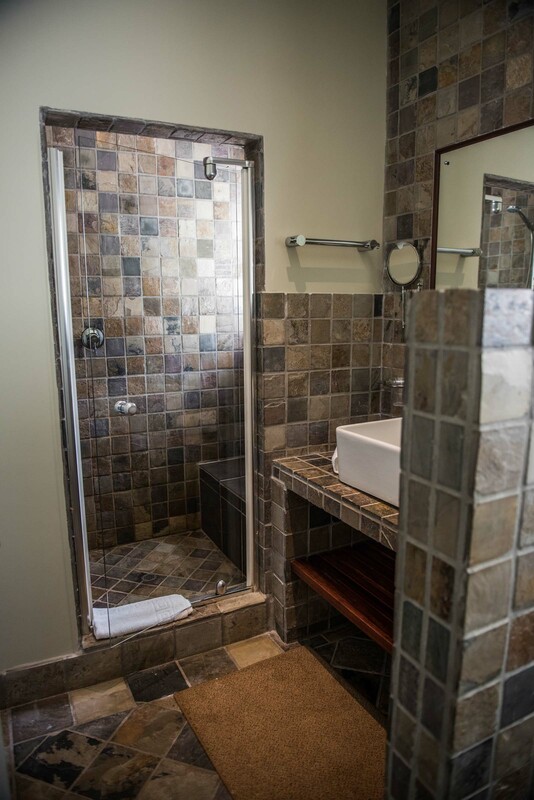 There are two bathrooms, each with showers in addition to an extra toilet. 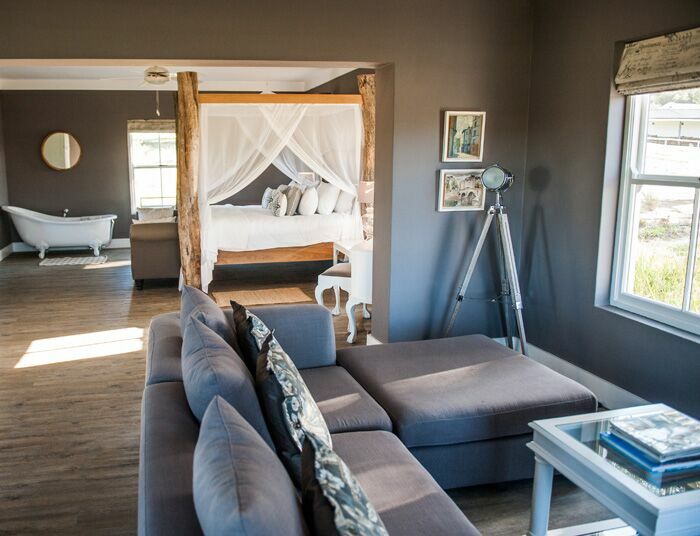 Also see Farmhouse Deluxe Suite. 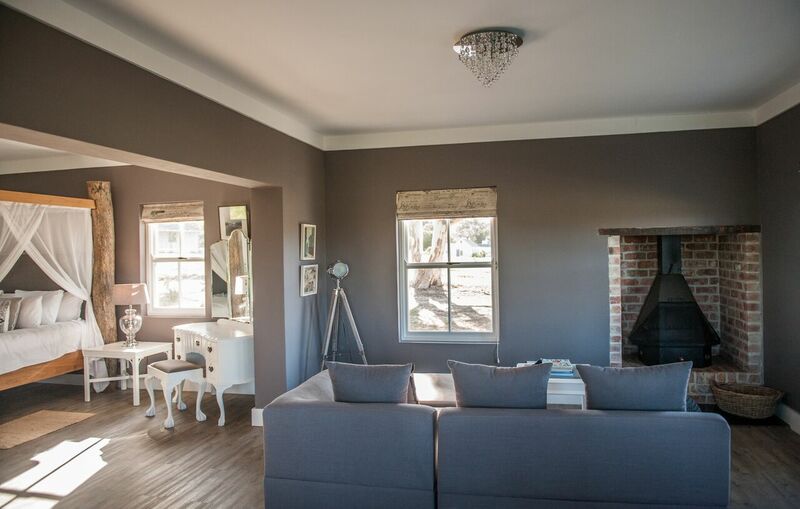 Total internal size, 180sqm. 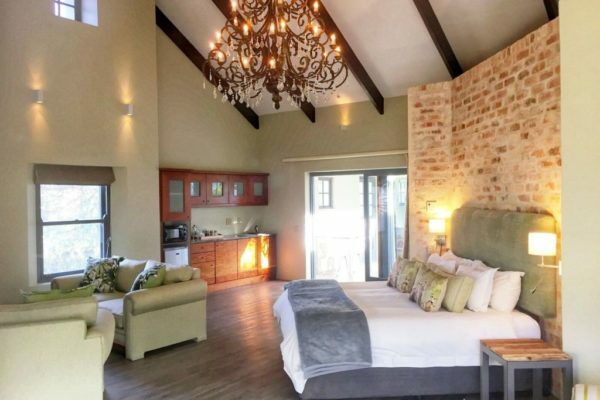 This large luxurious suite is adjacent to the main Farmhouse and can be added to create a larger unit. 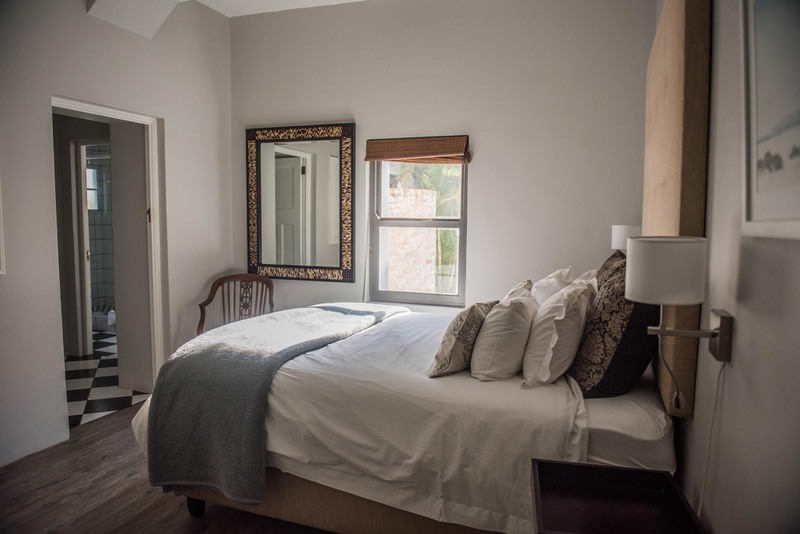 It has a large bedroom with fireplace, two bathrooms, one with a shower and one with a large bath, in addition there is a small private courtyard with outdoor shower. 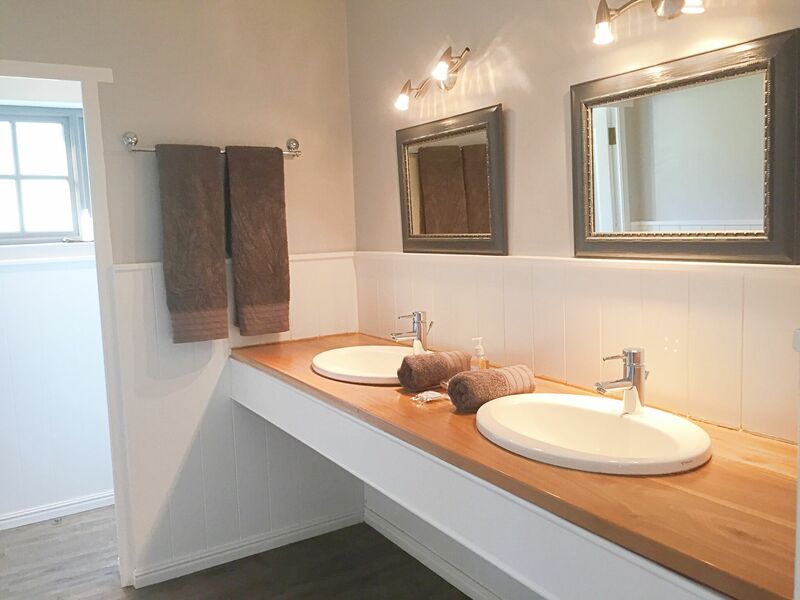 Total internal size, 105sqm.